Way back in 1991 two like minds bonded over their shared love of Soul and Latin records whilst stood in a taxi queue. Pearl's Cab Ride was born and the rest as they say is funk-history. After recruiting musicians with the chops to fulfil the vision they were soon gigging and recording throughout the early 90's, attracting the attention of the Acid Jazz label itself just before they broke up a mere 5 years later. They reformed after a twenty-year hiatus to celebrate 100 years of Hull's infamous Welly Club. This one-off was so popular amongst old and new fans that they have continued to write new music and tour ever since, playing across the North in their own sell out shows, or alongside the likes of Flamingods, Smoove & Turrell, 47Soul, Grinny Grandad and The Hot 8 Brass Band. 2018 has already seen the band release two new EPs, with more live shows, BBC Sessions and festivals under their belts - including an appearance at Boomtown Fair in August. As some lucky people already know - the true magic of Pearl's Cab Ride is served up by the truck load when seen live. 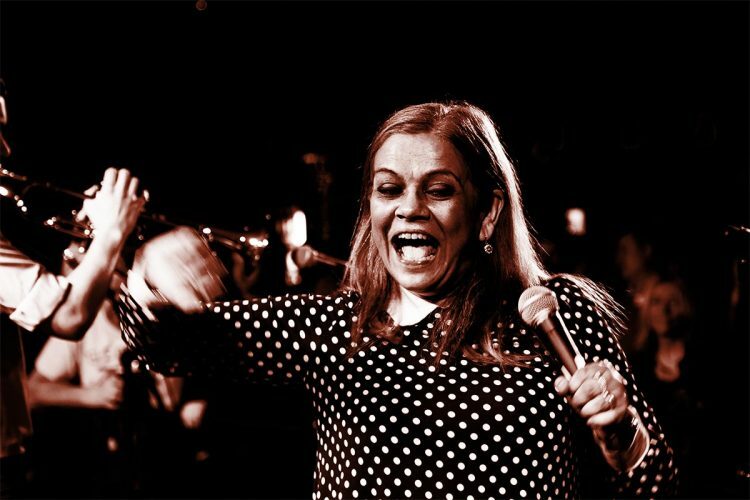 Driving, Latinesque funk and soul music, perfectly knitted together by this 9-piece outfit, all topped off by singer Lyn Acton’s sumptuous vocals - it's the hippest trip you'll ever take!